This carefully researched account of a lesser-known but vital aspect of the American war for independence chronicles exciting ship-to-ship battles, Benedict Arnold's efforts to build a fleet in Lake Champlain, the harassment of British ships by privateers, David Bushnell's "sub-marine" vessel and floating mines, uniforms, and much more. More than 150 black-and-white illustrations. 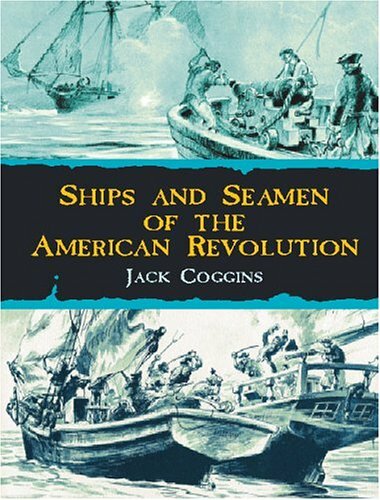 Coggins's 1969 volume is chock-full of facts about the naval aspects of the revolution. The detailed text is profusely illustrated with drawings, maps, and diagrams. A very thorough, accessible treatise.